This year's Slamdance Film Festival has brought us a handful of thriller films, horror films, and thriller documentaries, but none of them are quite like the film, "Body". This suspenseful thriller follows three girls as their night turns deadly when they break in to what appears to be an empty mansion. Starring Helen Rogers, Alexandra Turshen, and Lauren Molina, "Body" is a film that will leave you on the edge of your seat and wanting more. Lauren Molina and Helen Rogers in "Body"
The film gets off to a rather slow start with the girls trying to figure out what to do with their night as the Christmas Holiday sets in. These opening scenes spend too much time with unneeded fluff until the girls finally decide to go out and find something to do and see where the night takes them. Once we get past the first act struggles, the film becomes an intense thriller as an unexpected guest finds the girls in the mansion and leaves them searching for a way out of there terrible situation. With each twist of the story, "Body" leaves you waiting for more and anticipating what the girls will do next, and just how far they will go to get out of the nightmare they created. The performances by Helen Rogers, Alexandra Turshen, and Lauren Molina are excellent and their friendship and on screen chemistry was great. I really am looking forward to seeing what is next for these talented and beautiful actresses. Overall I really enjoyed "Body", and the Slamdance fans agree. In recent Slamdance news it was announced that Archstone Distribution has acquired the international rights to body and will be helping to distribute this thrilling film. I am also looking forward to what is next from Writers and Directors Dan Berk and Robert Olsen. The entire cast and crew has a lot of promise for a bright future. If you are looking for a fun thriller to see, make sure to check out "Body" as it continues through the festival circuit. Don't be surprised to see this film in your local theaters in near future. 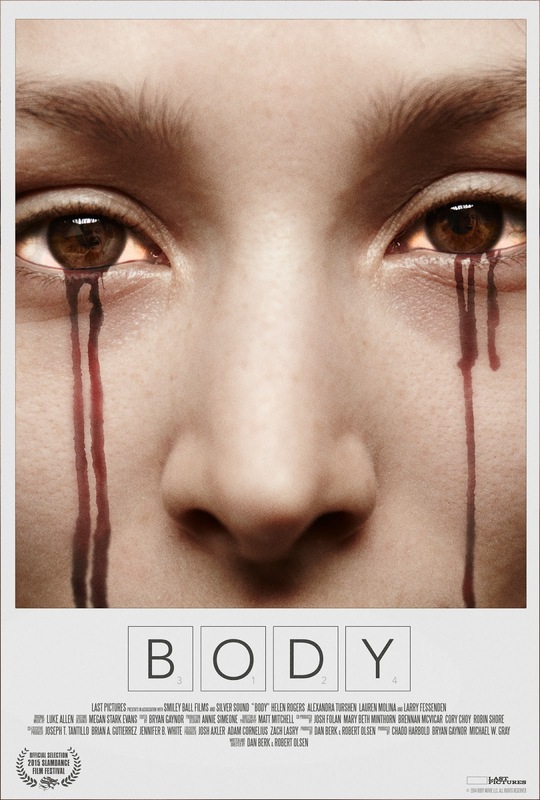 Check out the official trailer for "Body"